Recently, Donald White asked me to do an interview for his writer’s blog and this was the result. Be sure to check out Donald’s website for lots of interesting features on writing and up and coming writers. 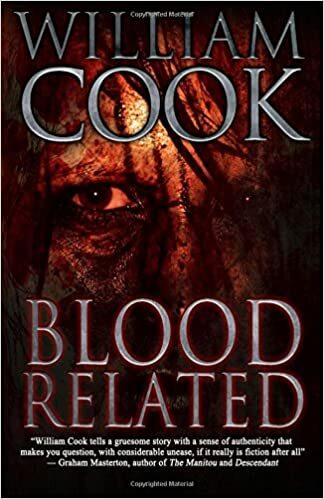 Also if any of you out there haven’t read Blood Related and would like a FREE kindle (only) copy, please leave a comment below this post/thread. Any of you out there who have read and enjoyed Blood Related, I would be grateful for a short review left on Amazon if you can manage it. Every little bit helps 🙂 Have a great week. Will. The Writer’s Blog welcomes the inimitable William Cook! Please tell us a little about yourself. Hi and thanks for having me here Donald. I like to think of myself as primarily a writer first and an artist second. I live in New Zealand at the foot of the world, happily married with four daughters, in charge of the house and looking after the two youngest girls. I have been writing weird stories ever since I was a kid. My first published works were poems in various literary journals in NZ and a few in the States. Back in 1996 I published a collection of verse titled ‘Journey: The Search for Something’ and had the occasional poem and short story published online, but nothing really of note until 2010 when Lee Pletzers from Triskaideka Books accepted my story ‘The Devil Inside’ for the 2010 Masters of Horror Anthology. I have always loved the Horror genre and dark literature, so this really inspired me to write what I loved rather than what I thought other people wanted to read and it has finally started to pay off. The thing I love about the Horror/Thriller genres is that a good story will get your pulse racing and your heart thumping. I feel it is the best medium to create a world where the reader feels alive because they are experiencing fear of some sort. Sounds sadistic I know, but I personally find that no other genre gives me the thrills I seek when I immerse myself in a fictional world. 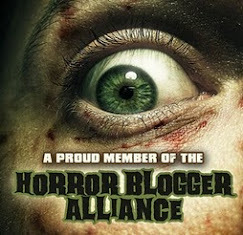 I have since had quite a few Horror shorts published in various anthologies. 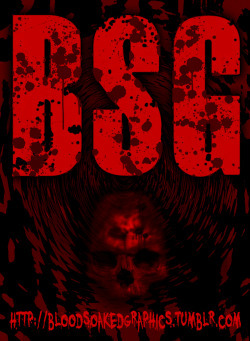 My novel ‘Blood Related,’ was re-released by Black Bed Sheet Books Halloween 2012. Writing it was a labor of love and took me roughly six years to write and it wasn’t until I changed day-jobs that I had the time to bring it all together as my debut novel. 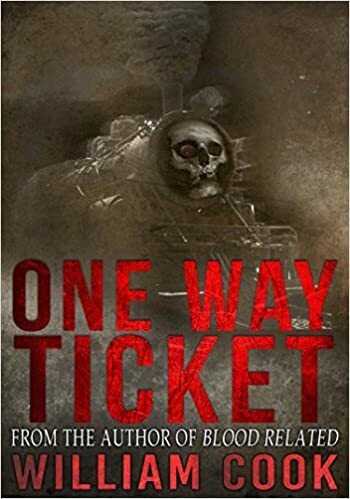 The novel is about a disturbed young man called Caleb Cunningham, whose violent father is a suspected serial killer and mother, an insane alcoholic. After his father’s suicide, Cunningham’s disturbing fantasy-life becomes reality, as he begins his killing spree in earnest. 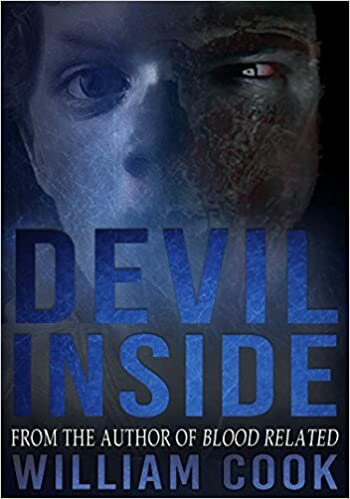 His identical twin brother Charlie is released from an asylum and all hell is about to break loose, when the brothers combine their deviant talents. Blood Related is a serial-killer/crime novel told in a first-person narrative style from the killer’s (Caleb’s) point-of-view. I have been privileged to have authors I look up to, give me feedback on Blood Related. People like Jonathan Nasaw, Guy N Smith, Laird Barron, Mark Edward Hall, John Paul Allen, and Nicholas Grabowsky, have all been kind enough to read and review my work – something I would never have believed possible until now. Not only a talented author, but you are also an excellent artist. Tell us what it is like to create such gruesome works of art. Well it all depends on the work of course but generally speaking, for some reason I can’t explain, my preference has always been depicting darkly ghoulish things. I have recently moved away from using traditional painting/drawing methods and now do 90% of all my work with Photoshop and digital mediums. I get my inspiration from my dreams and the various pop-cultural works I peruse, i.e. film, comics, fiction and music. I will usually start with a small sketch in a notebook or write down an idea of an art-piece that comes to mind (descriptively) before taking digital photographs of textures, trees, people and other subjects that interest me. I’ll then bring everything together via Photoshop and use it to add darkness, depth and dimension to my original vision. It is hardly ever reproduced physically apart from the occasional print or book cover so I like to call it my ‘virtual dark art.’ With each passing year I am less interested in the visceral gore-infused stuff that I used to produce, instead, I am leaning towards ‘quiet’ horror these days and subtlety is something I strive for in both my visual and written work. Blood Related was your first novel and, arguably, most controversial work to date. Explain how you were able to get into the minds of the two main characters. Blood Related combined a lifelong interest in the macabre with a lot of research into true crime and serial killers. I can trace my interest in this morbid subject to an event in my life when I was younger, whereby my best friend shot another friend of mine (his ex-girlfriend) and then killed himself. Obviously, this would leave a lasting impression on most people as it did to me. Subsequently I began to wonder why a large percentage of humans treat each other so badly and have a tendency towards self-destruction and nihilistic behavior. This aspect of my inquiring mind is constantly reinforced (the questions) by the media who use such occurrences to perpetually sensationalize ‘news’ and by our so-called leaders who use fear to drive political agendas. The politics of fear are very much a staple diet of news-hungry consumers who seem to relish lurid accounts of human cruelty and abuse, and (so it seems) probably the same reasons fiction is full of the horrors of human behavior. There are plenty of fictional books that deal with the subject of serial murder and during the research I conducted for BR, a perceptible ‘canon’ of such literature dating all the way back to Gutenberg and beyond (The Bible/Quran etc) became apparent to me. Apart from being of interest for research purposes, serial killer fiction has always intrigued me and some of the first ‘adult’ books I ever read as a young teenager dealt with the subject. Probably the two biggest influences on my writing of BR were Colin Wilson’s ‘The Killer’ and James Ellroy’s brutal ‘Killer on the Road.’ I have always wanted to write a first-person novel and the six years I spent writing BR were the result of this desire. I never thought the book would see the light of day but it all seemed to come together quickly when I bought a new lap-top and within three months of shopping it around to various indie presses it was published. I’m not sure that I would write another first-person serial killer novel as it (the subject matter and the book) consumed my thoughts for a long time. 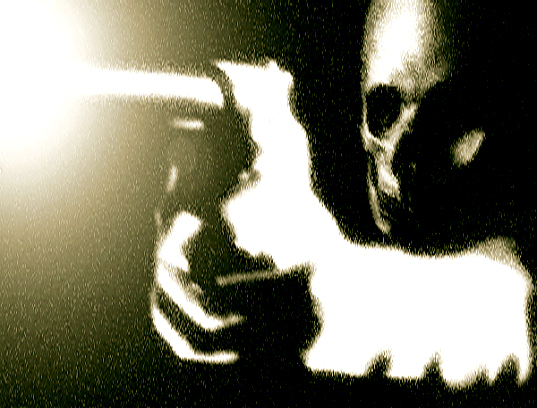 I found it a lot more disturbing to write about psychopathic humans than I do writing tales of horror that deal with more supernatural and fantastical elements. The most frightening aspect, to writing BR and creating believable characterizations of serial killers, is how easy it was to contemplate and describe such characters and their sordid crimes. BR lends itself to a sequel and I have made sure that the next book will be told in the third person, for the sake of my own sanity. You are also quite the poet, having released two collections: Moment of Freedom and Temper of the Tide. How does one achieve true feeling in verse? Before I began writing stories I wrote poems. The first ‘real’ poem I remember was Blake’s ‘Tyger’ and I have enjoyed reading and writing verse ever since. My first published work was in verse-form and my first published book was a collection of my poems back in 1996, titled ‘Journey: the Search for Something.’ The verse has nearly always ‘written itself’ and generally comes after periods of introspection or strong emotional experience. Most of my early work was terrible heart-wrought angst spewed onto the page as fast as I could write it and thankfully, with a bit of experience and a more temperate lifestyle, I have stopped referring to my emotions when I write poetry. ‘True feeling’ is a completely subjective experience, both on and off the page; the only thing I can suggest in response to your question is that honesty needs to be employed when writing poetry that deals with emotion or the translation thereof. Cadence is also important and I have always tried to use onomatopoeia in my verse in order to convey the ‘sense’ of whatever it is I’m trying to impart. Simplicity is also important; there is no point writing convoluted expressionistic verse, if no one is ever going to understand what it is you are trying to say! After writing poetry for over twenty years I think I have finally began to find my voice and I think it is important to have your own voice as a poet, in a medium so canonically reliant on style and form. In other words, write from the heart with the mind as your guiding light, in a voice of your own making. Easier said than done, right? Tell us about your work with JWK Fiction. What advice would you give writers looking to submit stories? 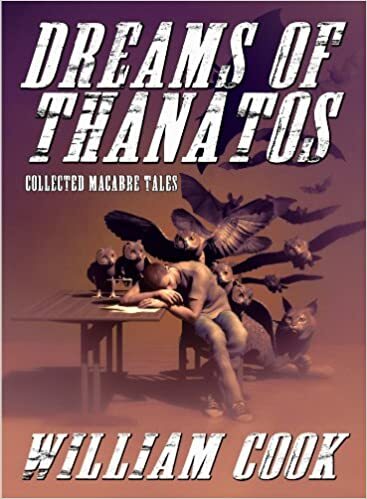 JWK Fiction [http://jwkfiction.com/] has published quite a few poems and short stories of mine and I’m happy to recommend James and the team to any aspiring writer of Horror and Speculative fiction. I think that a large part of having stories accepted for publication in the indie presses, is to write well (obviously) and to read the submission guidelines carefully. A lot of writers out there have a hard-drive full of stories that they want to see published, make sure the story you submit is what the publisher is looking for. It sounds basic but if you’re going to spend time tailoring a previously written story to fit a submission call you may as well start fresh and write something new with the guidelines in mind. I made this mistake (reanimating old work) when I was first starting out and the rejections came in thick and fast, as soon as I started writing fresh stories for specific guidelines I started having success with my submissions. If you submit a lot of stories I would also suggest keeping a record of your subs including story titles, word counts and dates etc. It saves embarrassment and time wasting if you’re simultaneously submitting stories and then having to remember if they’ve been accepted elsewhere etc. Who are your three favorite authors and how have they influenced your work? Robert Bloch, Flannery O’Connor, Sherwood Anderson (I have more than three). I love the way they convey human emotion, particularly fear, through the short story medium. They are the writers of psychological drama who I enjoy reading the most. Without reading these writers I probably would have never written short stories – very inspirational and efficient writers, who better to emulate. 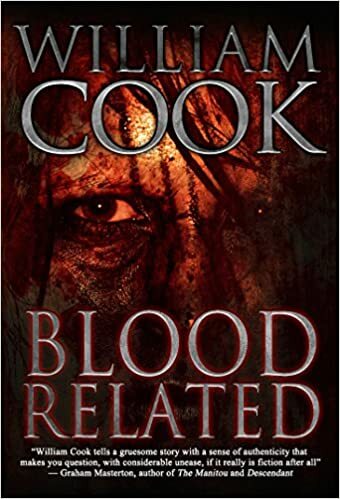 I am midway through the sequel to Blood Related titled ‘Blood Trail’, finishing edits on an anthology that JWK Fiction is publishing called ‘Fresh Fear’ [http://www.williamcookwriter.com/p/blog-page_26.html] with stories from the likes of Ramsey Campbell, Billie Sue Mosiman, JF Gonzalez, Jack Dann, Robert Dunbar, amongst others, and working on two separate collections of my short fiction and poetry. William Cook is a writer of the macabre from New Zealand, a small antipodean island group in the South Pacific. When not writing, he looks after two small daughters and designs book covers that are designed to scare the hell out of people. 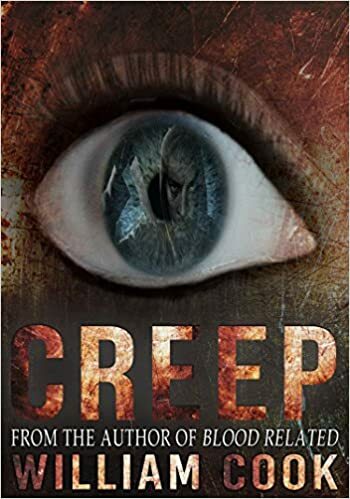 Having held down a multitude of jobs before becoming a “Domestic Manager”, he brings to his writing a vast array of experience that translates to the page in the form of strange characters and situations that bleed horror. From slinging timber in lumber yards, cutting plastic film in a meat packaging company, making rat-poison and acid cleaning products, working on a prawn trawler in the Gulf of Carpenteria, selling ads, and teaching English in Korea, to name a few of the roles he has performed – being a starving writer of Horror fiction seemed like a completely viable occupation. Currently working on a sequel to his debut novel ‘Blood related’, titled ‘Blood Trail’, it is due for completion mid-year and for publication by his amazing publisher Black Bed Sheet Books sometime in the hereafter. Stay tuned, will be profiling each of these great authors in the weeks to come. 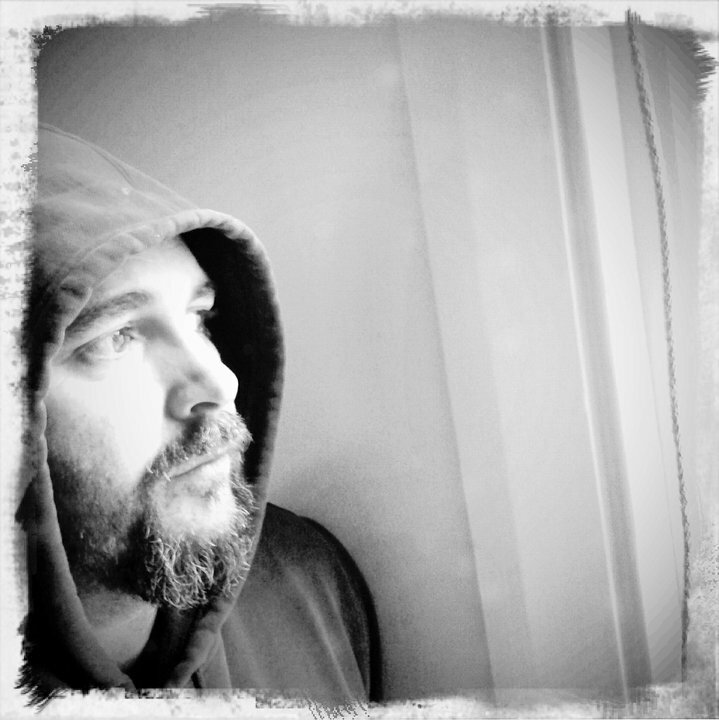 Angelic Knight Press is excited to announce that William Cook, a very talented author, poet, and artist/ illustrator from New Zealand will be gracing us with his presence in the form of his fantastic novel “Blood Related” which we are slating for release in November. We have to take advantage of the holiday season sales mania! Yvonne, Stacey, and I are in love with this chilling horror, mystery tale. William sent us a very polished Ms. Below is a portion of the synopsis sent to us by him. 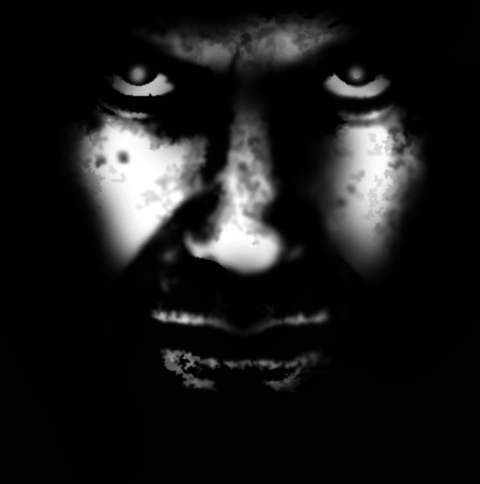 Meet Caleb Samael Cunningham, a diabolical serial-killer with an inherited psychopathology, passed down via a blood-soaked genealogy. Caleb is a disturbed young man whose violent father is a suspected serial killer and mother, an insane alcoholic. After his Father’s suicide, Cunningham’s disturbing fantasy-life becomes reality, as he begins his killing spree in earnest. His identical twin brother Charlie is to be released from an asylum and all hell is about to break loose, when the brothers combine their deviant talents.Blood Related is a serial-killer/crime novel told in a first-person narrative style from the killer’s (Caleb’s) point-of-view. Need I say any more? Later, I will, but for now this should give you a vivid idea of what to expect with this great novel. As for the cover art, William asked if he could do his own. He is quite an accomplished artist so I naturally said yes. We can hardly wait to see what he will present to us. We feel very fortunate to have William joining us. Angelic Knight Press is not the only publisher interested in publishing this novel. We won! Keep tuned for more information, dates, etc. Exciting times for all of us!